OTTAWA—Assembly of First Nations National Chief Perry Bellegarde announced Wednesday he is planning to vote in the federal election on Oct. 19. Bellegarde said he decided to cast a ballot for the first time in a federal election after hearing from First Nation Elders, leaders and youth who called on him to vote. “The message to me is consistent and clear. It is vital that First Nations voices be heard in every way possible, including through the ballot box,” said Bellegarde, in a statement. Bellegarde admitted recently he doesn’t vote in federal elections on the advice of Elders. Bellegarde and the AFN have launched a campaign to get out the First Nations vote, arguing Indigenous people could influence the outcome in over three dozen ridings. Bellegarde also released a list of priorities he’d like to see the next government take on to reduce the disparity between the life of First Nation people in cities and reserves and the rest of Canada. 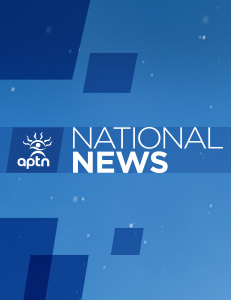 First Nation issues, however, are nowhere on the national election radar, based on the themes put to the federal party leaders in the first leadership debate hosted by Maclean’s and Canada’s public broadcaster’s interviews with the leaders rolling out this week. Not one question on First Nation issues surfaced despite this year’s release of the Truth and Reconciliation Commission’s report and its 94 recommendations. AFN Chief Perry Bellegarde deals instructively with the bind our negligent federal politics have put First Nations in. A. We are to deal nation-to-nation, Canada-to-First Nations. Representing this, Chief Bellegarde DOES NOT vote for one party or another in Canada’s politics. B. By voting in this key election, First Nations voters can make a difference in how Canada honours its obligations. To encourage this vital effort by his example, Chief Bellegarde WILL vote on 19 October. C. Both are sound principles for action; they lead to a quandary for the AFN Chief. He voices one principle first and acts it out – he won’t vote. Canadians hear the reason, as we should. Then he hears from AFN’s First Nation leaders that they want him to follow the second principle for this election. Canadians hear the reason. The chief responds positively – he will vote. He has given honour to both principles. He’s responded democratically to his constituents. Through the media, he’s given us something more than instant sound bites. He’s told a three-step story that calls for an attention span, while each step conveys meaning on its own. This is good inclusive political action, as I see it. I’m glad to be in hearing range.